There are many kinds of dating apps out there. Sometimes, it is fun to try a more “serious” dating. However, at other times, you want a dating that just lets you get down to the fun part of dating. Whether you are looking for a hookup, a casual date, or a friends-with-benefits situation we have brought you the app that will give you the instant hook up anywhere. The app named as VieLoco that is recently developed. 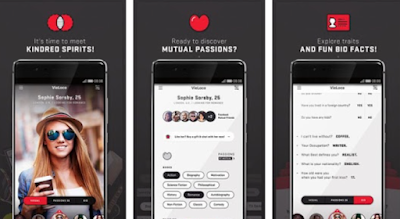 VieLoco is social app for people who are seeking someone hot to flirt with tonight. Meet singles in their city, start a private chat and arrange a date instantly. So, set off on a flirty online dating adventure that could easily become a real date. It gives you easy photo uploading and in-app notifications, and has a dating experience that is completely unmatched. It is a personalized approach to dating that makes it easier for you to connect with local singles and meet that special someone. Know the instant you have a message or a wink. Browse profiles, message and likes on the go. VieLoco uses your device location services to connect you with the fun singles closest to you who share your interests and want to chat it up! All you have to do is to create a simple profile with a handful of photos and a few sentences about yourself, then throw yourself at the Internet's mercy. The other amazing feature about the app is it video calling so you do not have to worry about fake profile you can even turn on the video chat if other person is easy with that.